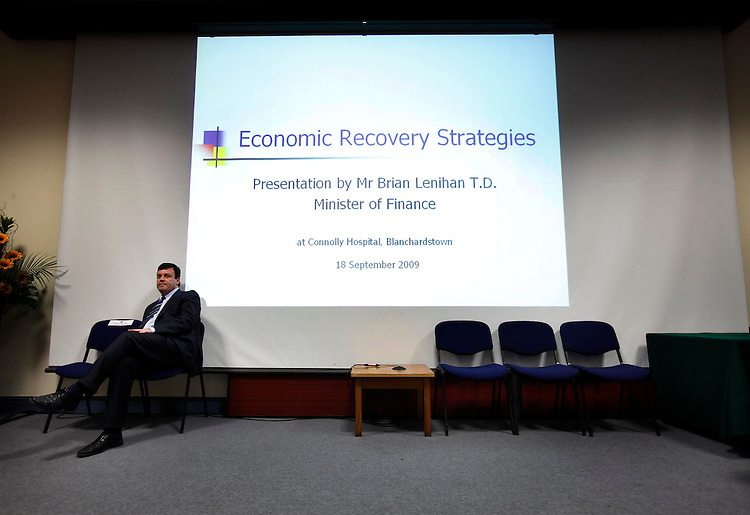 .Minister for Finance, Mr. Brian Lenihan T.D., pictured here prior to addressing leading medical consultants from the Royal College of Surgeons in Ireland and Connolly Hospital at the Annual RCSI Abrahamson Lecture held in Connolly Hospital. Pic. Robbie Reynolds.